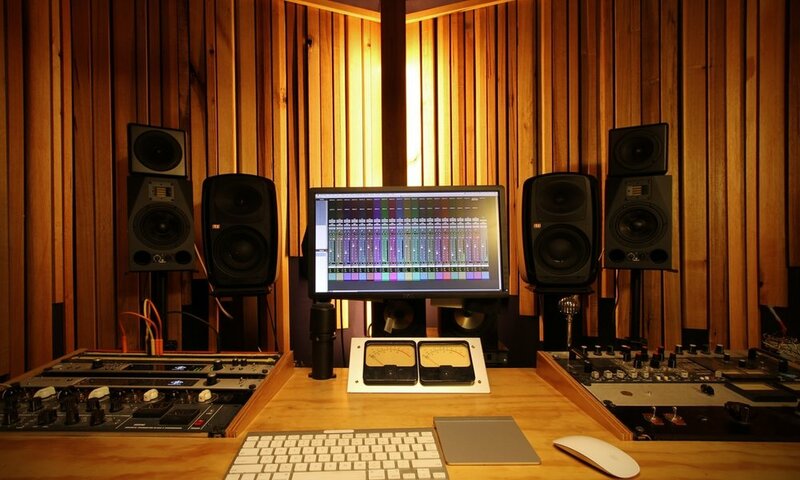 Located in the heart of one of Melbourne's most vibrant inner-city suburbs, Rolling Stock Recording Rooms houses three fully equipped production rooms surrounding a large, versatile mud brick live room. Built in 2015/16 by Zvi Belling, Myles Mumford, Tomas Strode and Jem Savage, along with support from a large community of friends and family, Rolling Stock's flexible layout allows for all types of recording and production processes. The large live performance space has exposed mud brick walls, large windows and bi-fold movable walls which allow the room to be separated into three separate spaces, or used as a large open recording space depending on the needs of the artist. The live room also houses Rolling Stock's prized 1938 Steinway B grand piano, originally owned and played by the Tasmanian Symphony Orchestra. The piano is regularly tuned and serviced and is available to anyone who uses the live room. The three separate control rooms surrounding the main live room are completely independent and purpose built to suit the work processes of Myles, Tomas and Zvi, with one set up as a record/mix/master room and two with isolated vocal/instrument booths. Each control room is fully wired to the main performance space and feature extensive audio production equipment, microphones and instruments. Rolling Stock Recording Rooms is base to a number of well known and respected members of Australia's vibrant recording scene. Zvi Belling, Myles Mumford, Tomas Strode and Jem Savage all call Rolling Stock home, along with Nao Anzai, Becki Whitton, Lilith Lane, Evelyn Morris, Alex Jackson, Andy Robinson and a select few additional Melbourne engineers and producers. Please don't hesitate to get in touch about your next recording project.